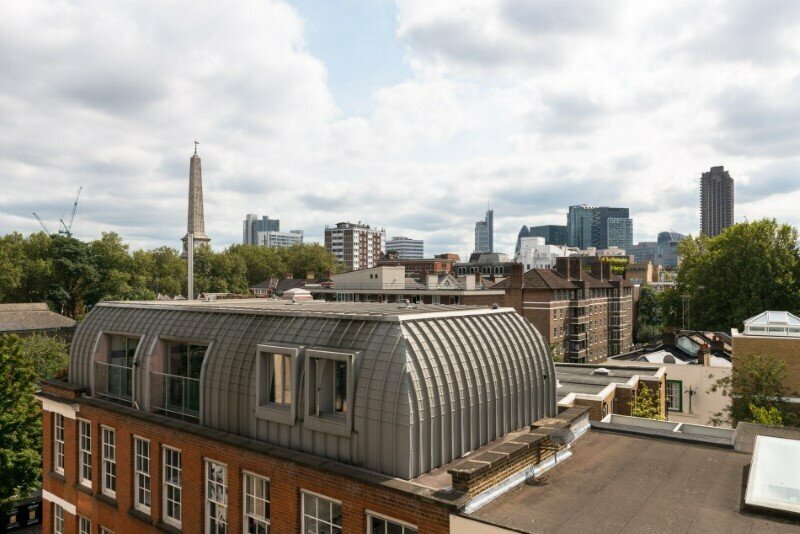 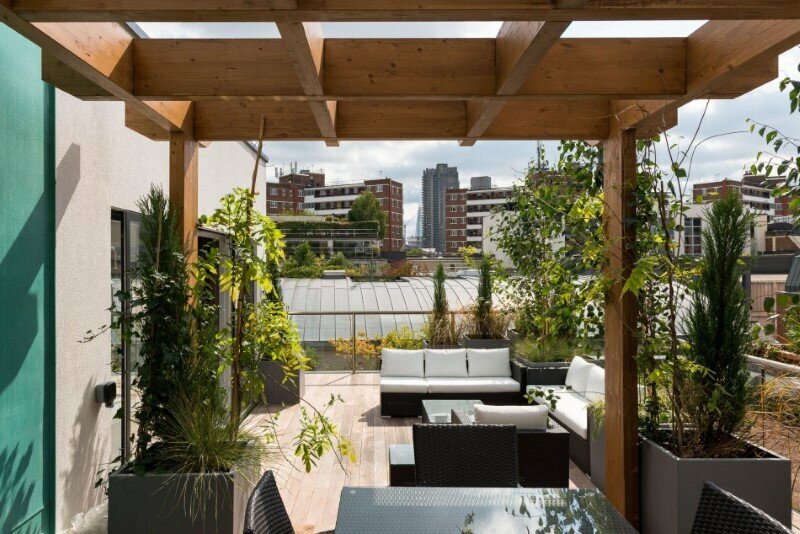 This superior two-bedroom penthouse in Clerkenwell, London has extensive private terracing with fine views, underground parking, and direct lift access. 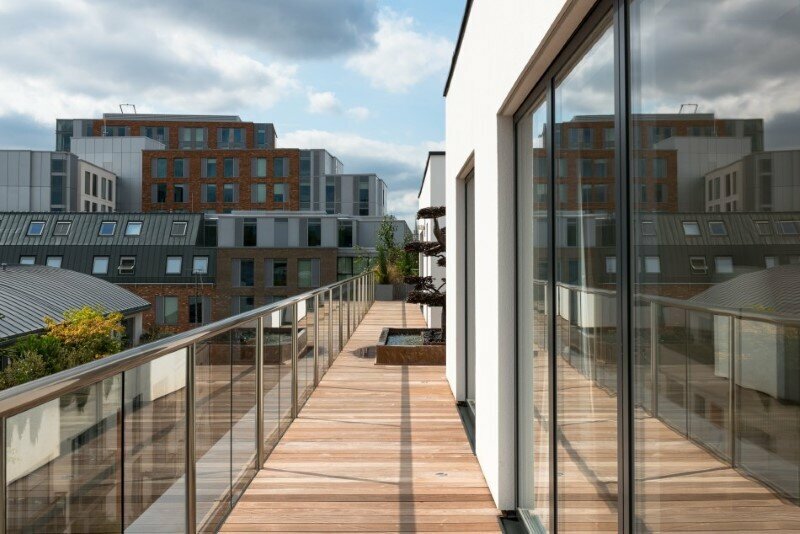 It forms part of the Dance Square development designed by London-based DGA Architects. 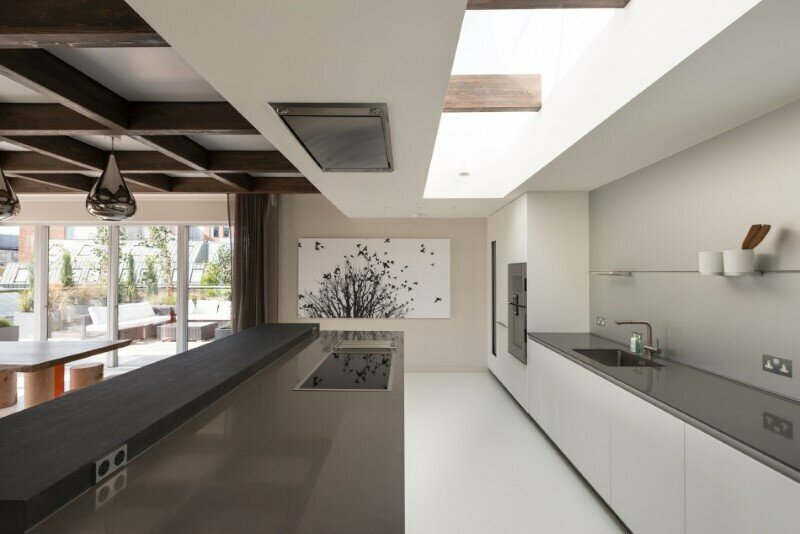 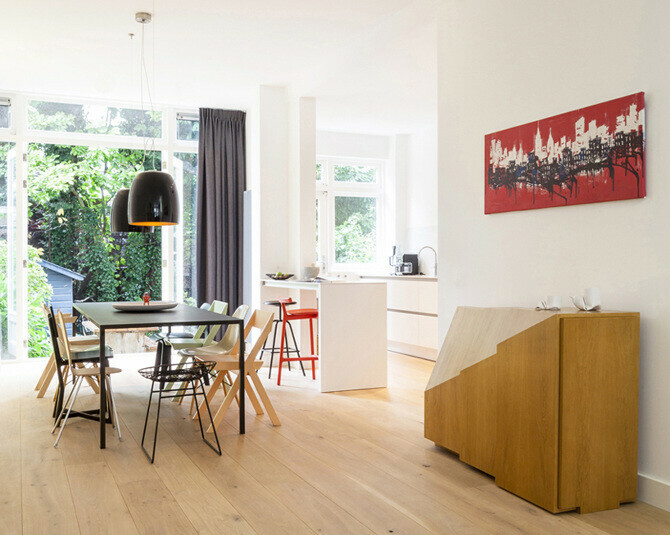 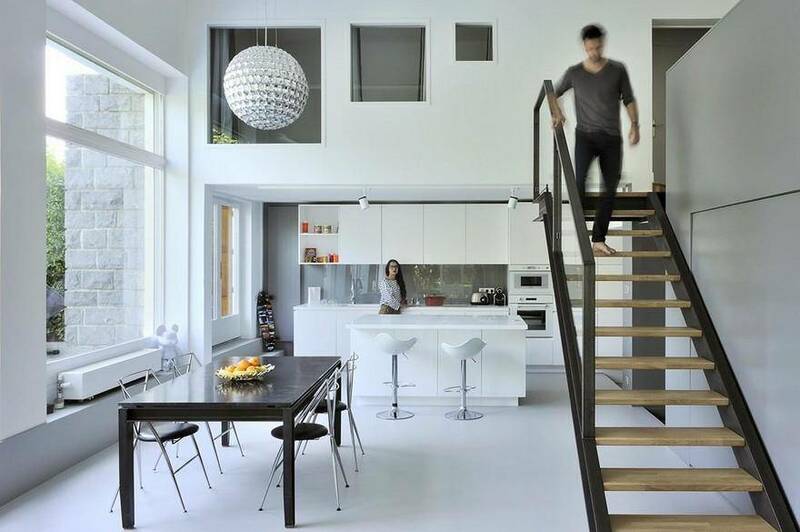 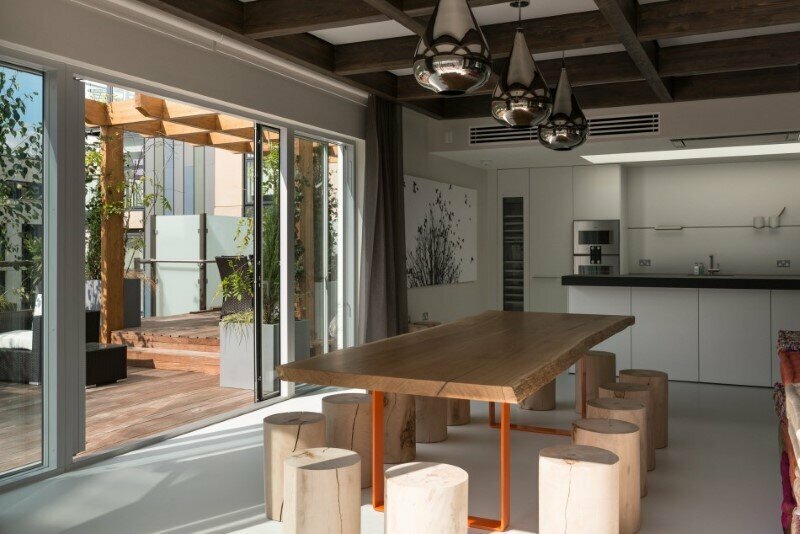 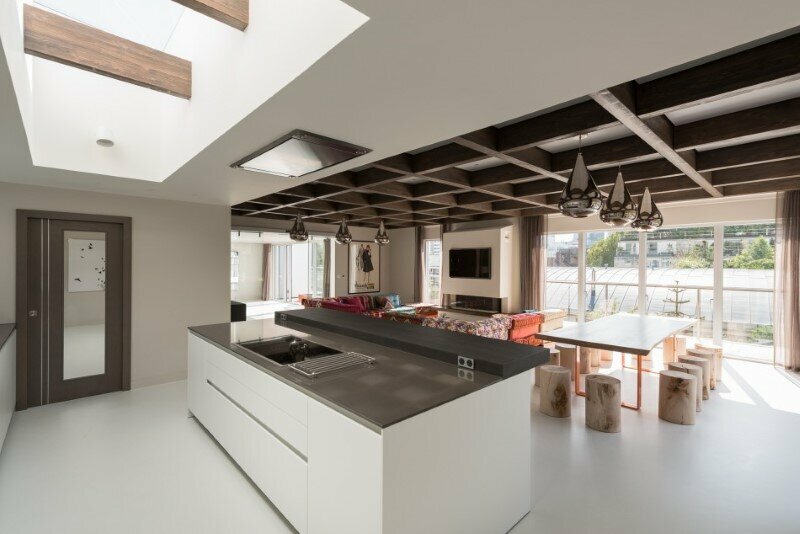 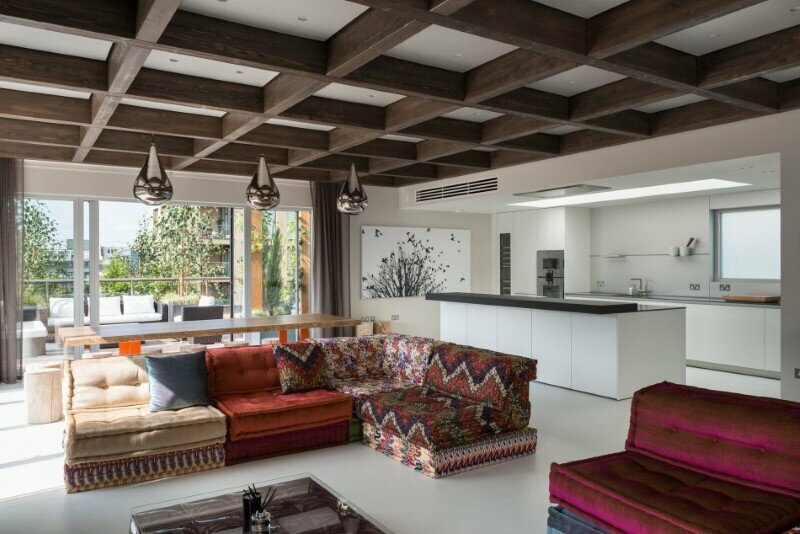 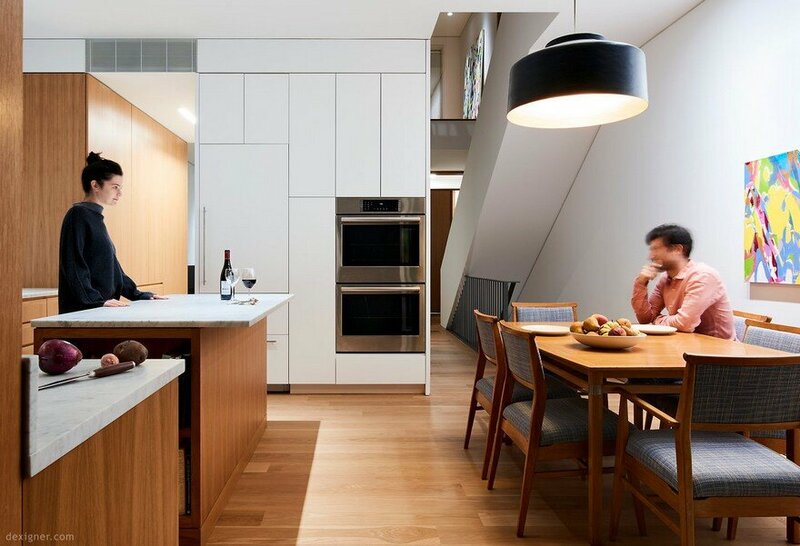 Description by DGA Architects and The Modern House: The apartment has a living wing and a sleeping wing, which are bisected by a dramatic entrance atrium. 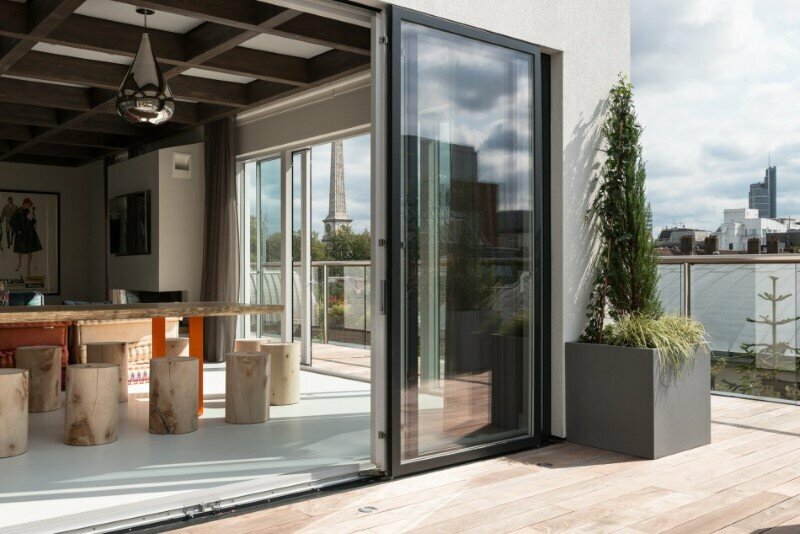 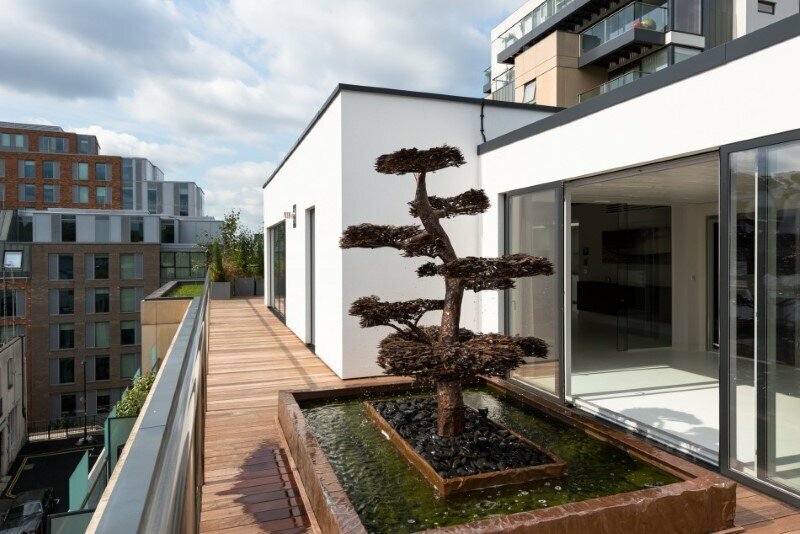 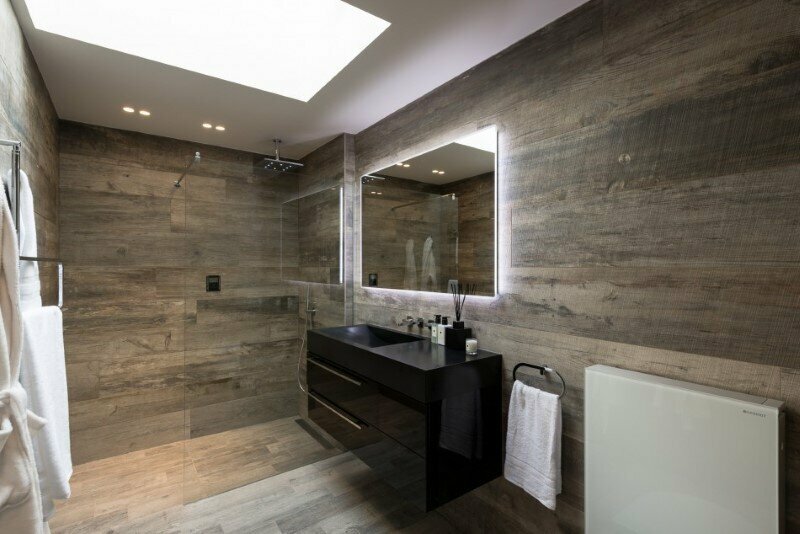 Arriving via the lift and a high-security door, the visitor is presented with views over rooftops and a bespoke water feature through full-height sliding glazed doors. 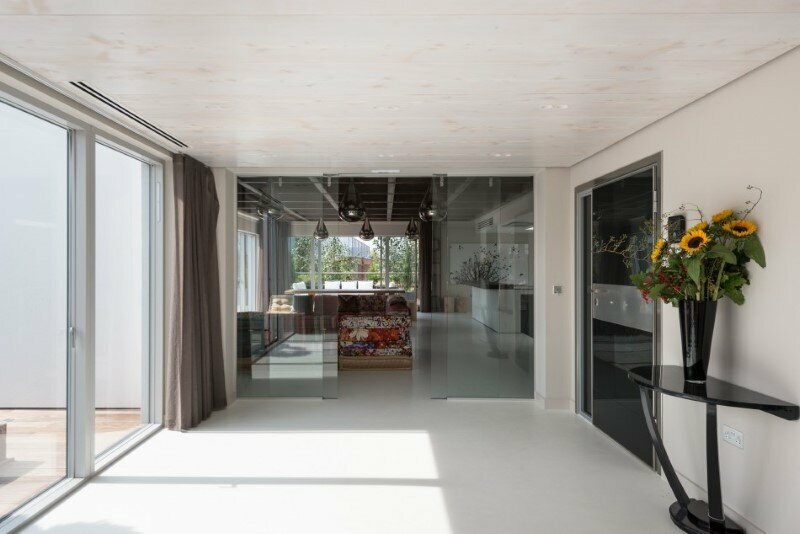 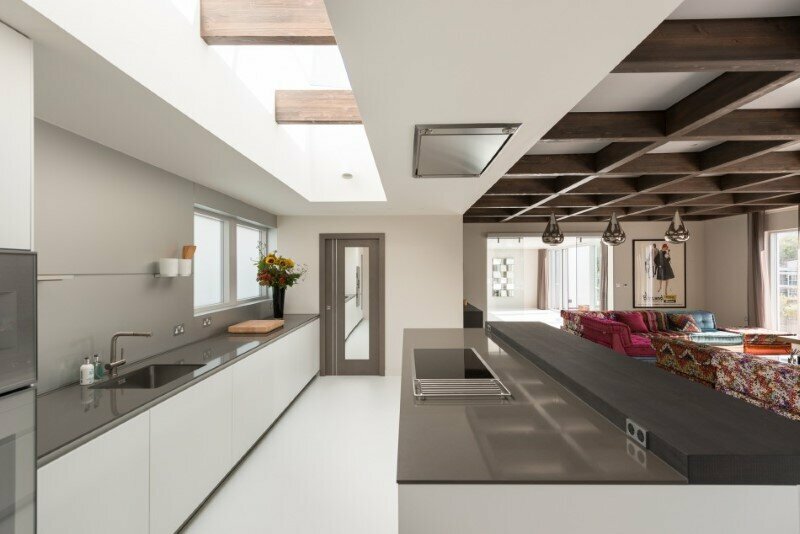 The quality of the materials is immediately evident, with a poured resin floor and a ceiling clad in Dinesen timber. 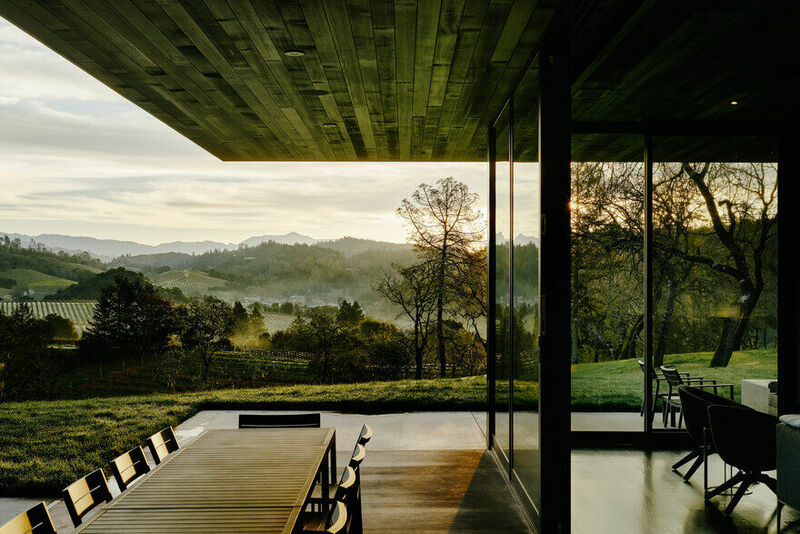 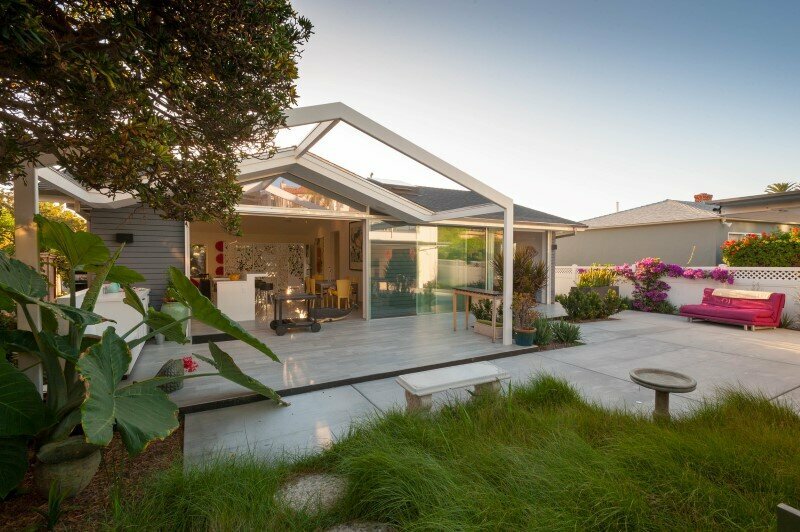 A sliding glass door leads to the open-plan reception room, kitchen and dining area. 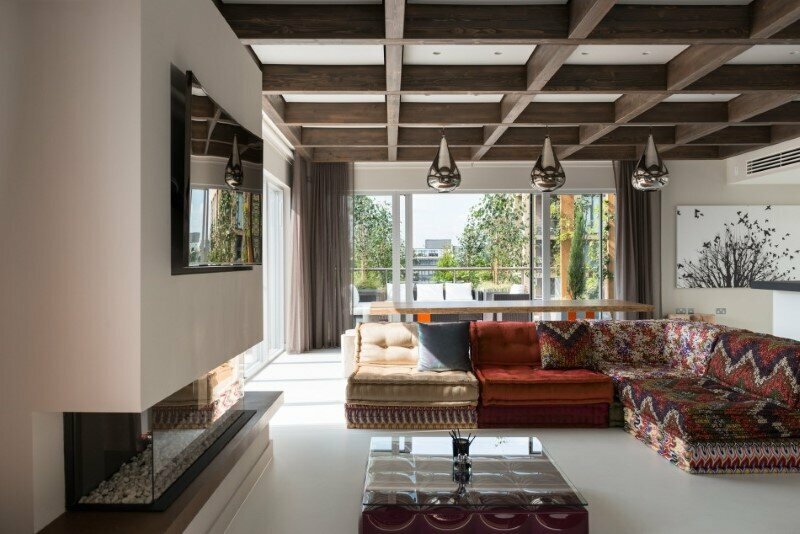 This wonderful room has extensive amounts of glazing, a gas fireplace, and a Bulthaup kitchen with a utility room beyond. 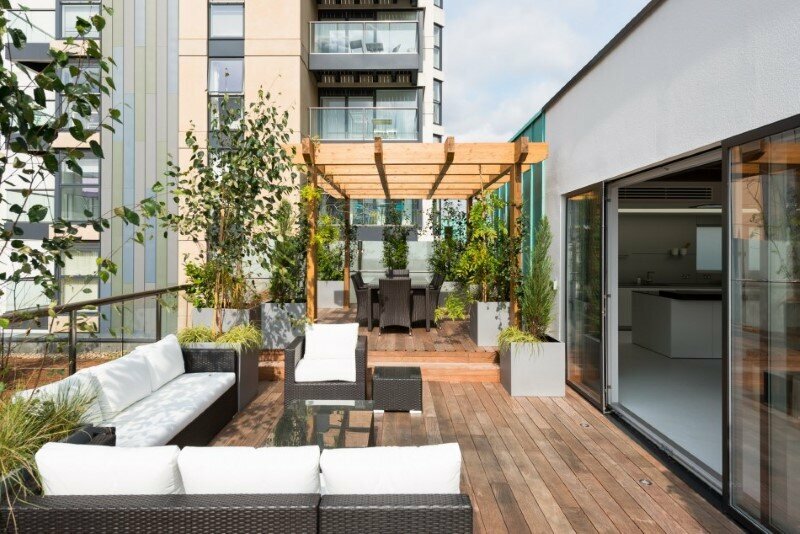 Glazed doors slide back to reveal a sunny roof terrace, with a large seating area and a dining area beneath an arbour. 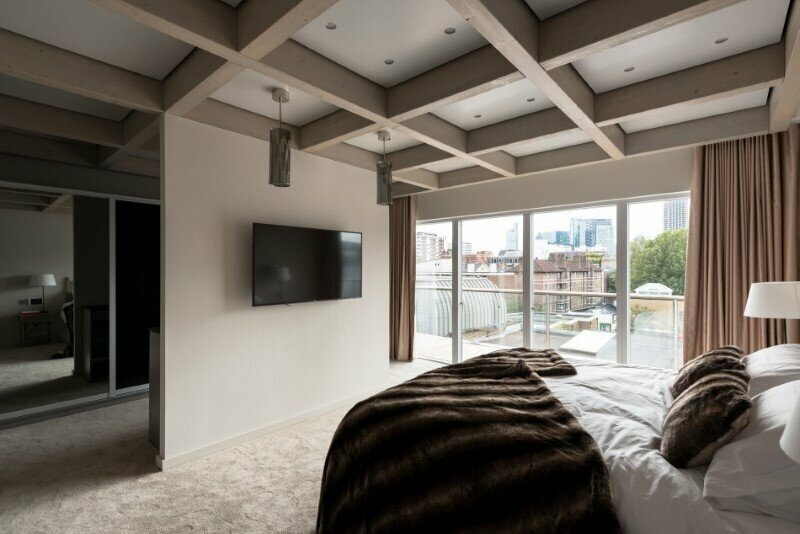 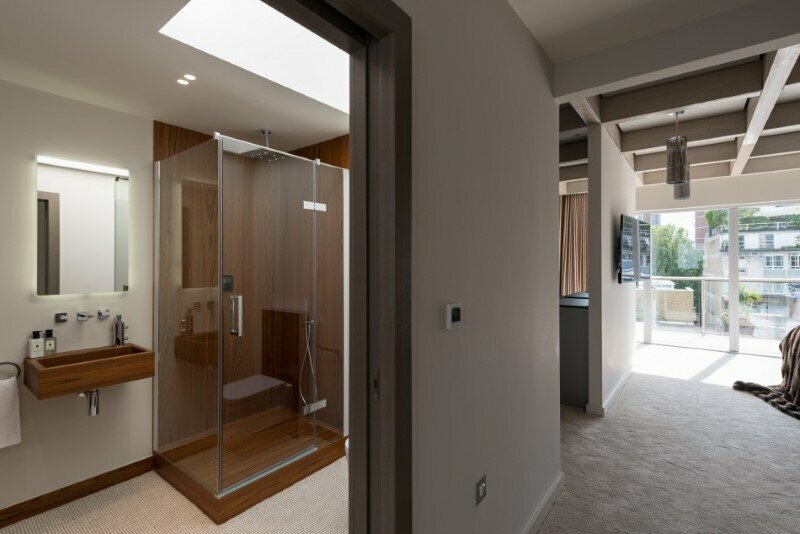 The master bedroom has a semi-open-plan dressing area and an en-suite bathroom with a timber bath and separate shower. 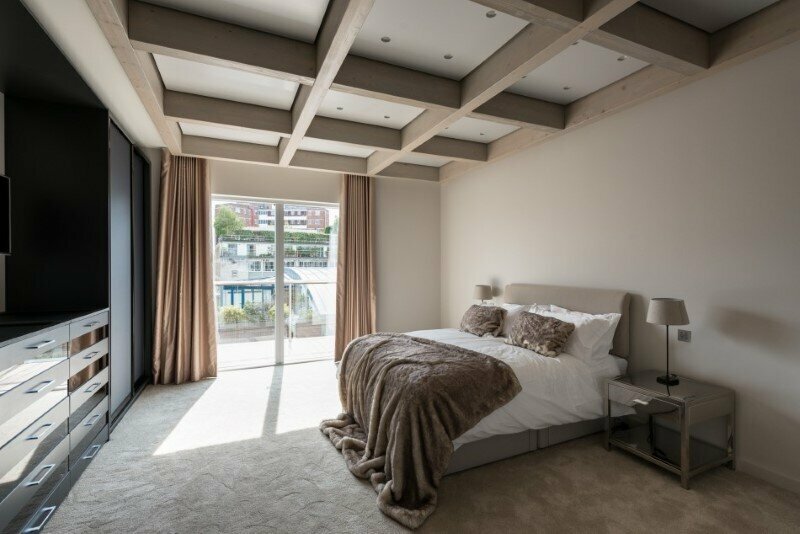 There is a second double bedroom with built-in wardrobes and an en-suite shower room, and a separate cloakroom for guests. 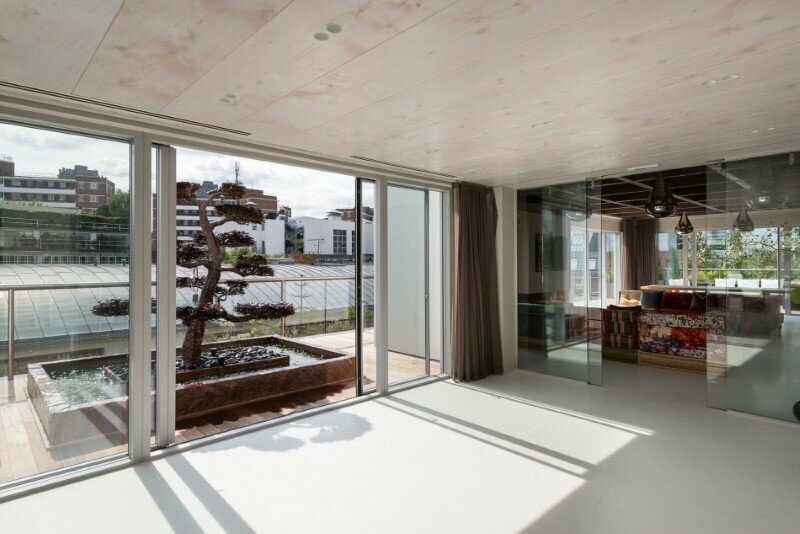 Both bedrooms open onto the terrace.